Finally 4G LTE is here and the smartphone manufacturers are giving 4G LTE devices at cheap rates in market. All the new smartphones that reach stores are loaded with 4G LTE feature. And by this time many people have already bought them. But the thing we don't really know is what this 4G LTE feature is. All we know is that it is faster than 3G. Here I am trying to explain what 4G LTE connectivity really is. 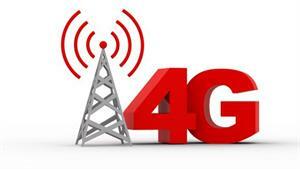 4G as we all know stands for the 4th generation for cellular networks and the LTE term stands for Long Term Evolution. There are so many 4G standards and 4G LTE is one of them. Others are Ultra Mobile Broadband (UBM) and WiMax. The 4G LTE is designed to be about 10 times faster data transfer than that of current 3G. That is all the things except calling and SMS will be up to 4G standards like, downloading, browsing, video calls etc. The thing that makes the 4G LTE exciting is the speed and is designed to provide high speed voice, multimedia and data streaming at least 100Mbit per second and it can reach up to 1 GBit per second. These high speed streaming are IP based which allows connection between two hosts to transfer data back and forth without any direct link. It is made possible by increasing the capacity and speed of the data networks which are wireless using specially developed digital signal processing techniques and modulations. Another main advantage of the 4G LTE will be the enhanced voice quality. For this newly implemented voice codec named "HD Voice" is used. But for this both the devices should be 4G LTE enabled. Well, 4G is finally here and the devices are also out. Next thing is to get the 4G coverage in your area. First the 4G networks will be introduced in major cities and then to the rural areas. The next thing that we all worried about is the price. During the early stages of 3G the companies demanded high rates for limited usage of 3G. And in case of 4G we can expect the same. Then there is a chance of decreasing the price range of current 3G offers. Well, hope for the best. Go and grab your 4G device and be ready.